It’s always distressing seeing exotic supercars get reduced to mangled wrecks, but it’s even worse when a car is an extremely rare one-off. In this case, the only Koenigsegg CCXR in the world finished with a turquoise paint job has been severely damaged in a crash that happened in Mexico. Details about the accident are scarce, but the hypercar was reportedly being driven by the owner's father when the crash happened. The driver appears to have hit a pole on the side of the road before slamming into a concrete curb. The front of the car is extensively damaged, but the rear doesn’t appear to have suffered any damage. Extensive repairs will be required for the CCXR’s front fascia, right-side fender, and suspension, which won’t be cheap. The hood has also been bent out of place and the passenger side door has been badly scratched. Thankfully, the damage appears to be purely cosmetic, so it should be relatively easy to repair unless there is damage to the car’s undertray or powertrain. 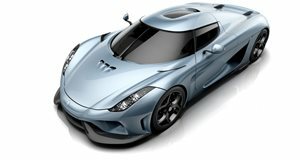 It will no doubt be sent back to Koenigsegg for repairs and possibly rebuilt with further modifications to improve it. This specific CCXR, known as the CCXR "Special One,” is reportedly worth $1.57 million and is easily distinguishable thanks to its custom turquoise paint and matching interior. It was once owned by the Al-Thani family of Qatar and now belongs to a car collector who regularly posts photos of the Swedish hypercar on Instagram. Luckily, there were no injuries during the accident according to the owner. Like all other CCXRs, the Special One is powered by a 4.7-liter-twin turbo engine. When running on standard fuel, the engine delivers an impressive 806 hp, but this can be increased to 1,017 hp when the car is run on E85 Biofuel. It also attracted attention back in 2010 when it was pictured with wheel clamps after parking illegally in London. Incidentally, this isn’t the first Koenigsegg that has crashed in Mexico, as the one-off CCX Custom Vision was destroyed back in 2016 after rolling over multiple times. Photo credits: Autogespot.